When Aaron and I moved in together last year, there were a lot of bare walls and in my opinion, bare walls need to be filled! This presented the perfect opportunity to buy some lovely prints as well as make a few bits too. I’d seen homemade picture washing lines on Pinterest etc, so after doing a bit of online research, thought I’d give it a go. As I got advice from a few different places and ended up with my own way of doing it, I thought I’d share it – here’s how to make a photo washing line of your own. 1) Remove the glass front and cardboard back from the box frame. 2) Fix the adhesive hooks on the inside of the frame at either side. 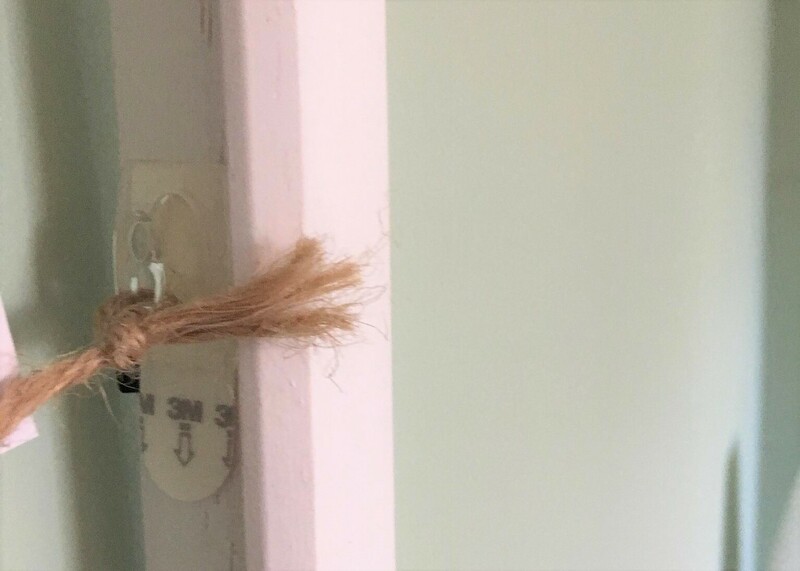 I failed a bit here as I didn’t think about how much the twine would hang down – it would be worth fixing the top two hooks further up than I did to allow for this. 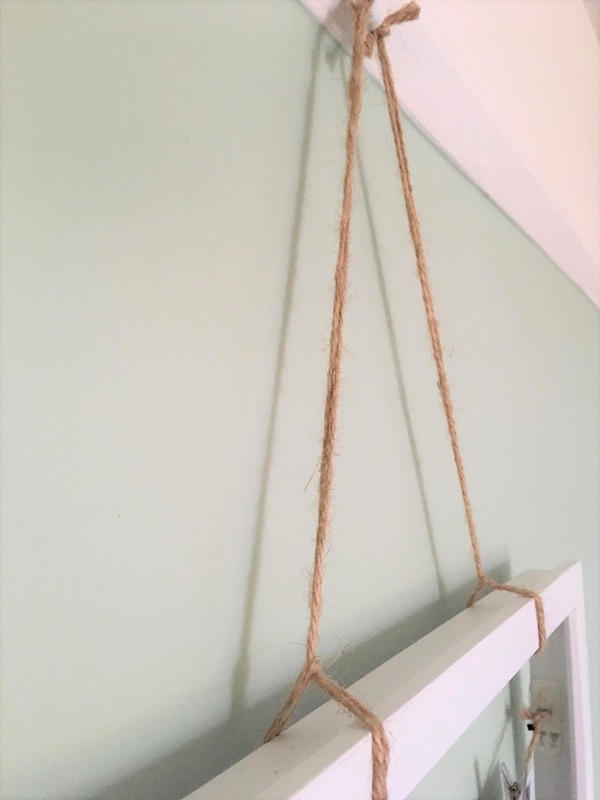 3) Cut the twine according to the width of the frame – with a little bit extra so it can hang, unless you want it dead straight. Then knot around the hooks. 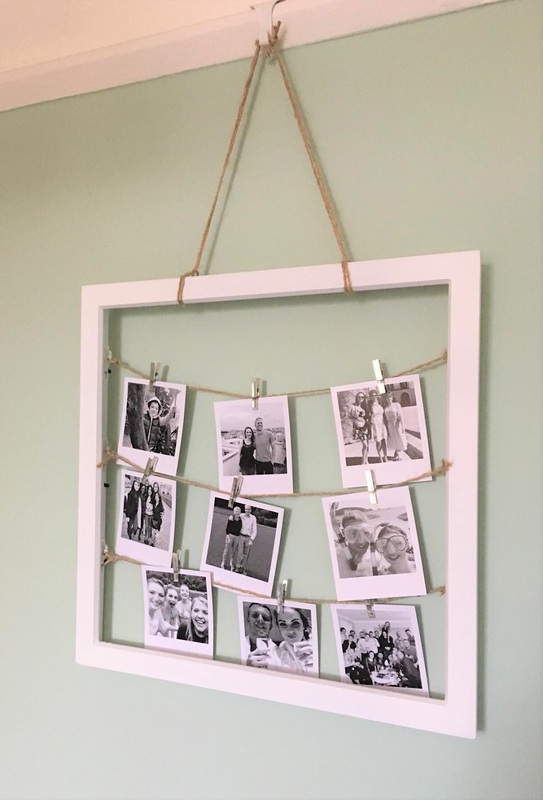 4) Cut a separate length of twine and thread around the top of the frame, tying a knot at the top so you can hang it. 5) Lastly, peg your photos! And there you have it, your own little photo gallery. Let me know if you give this a go!